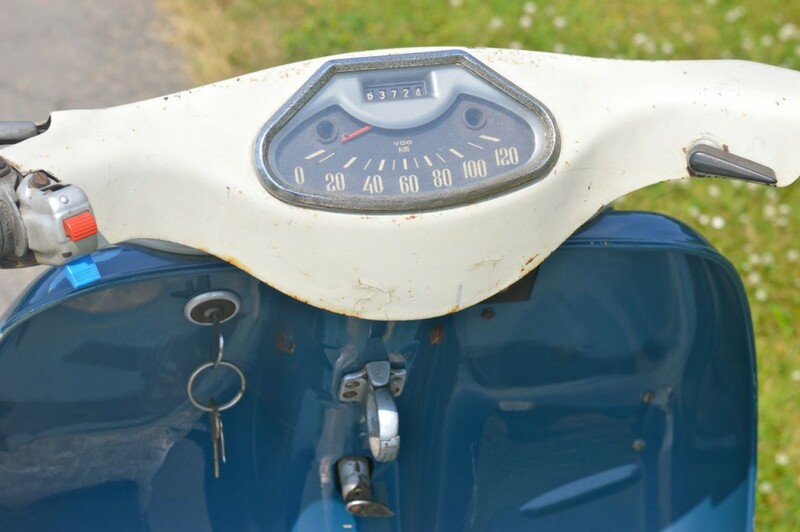 During the fifties, scooters were booming, with Vespa en Lambretta being the most popular of them. 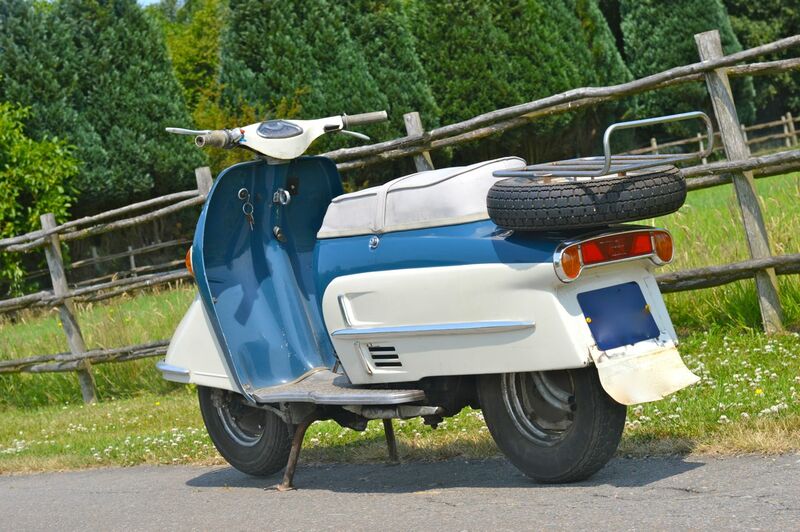 Most scooters like were built with a steel monocoque hull and a smelly compact two-stroke engine, which put a certain limit to comfort and ruggedness. 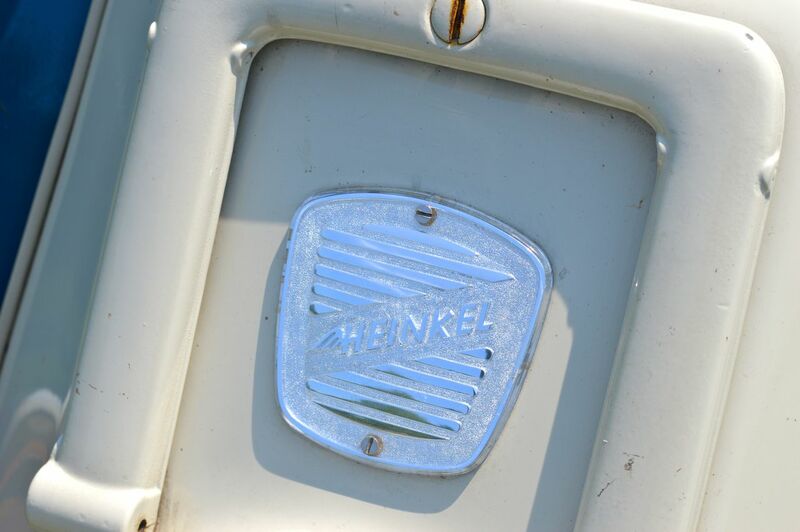 The German brand Heinkel Flugzeugwerke saw the opportunity to create a solution for these shortcomings and launched their first scooter in 1953, called the “Tourist”. 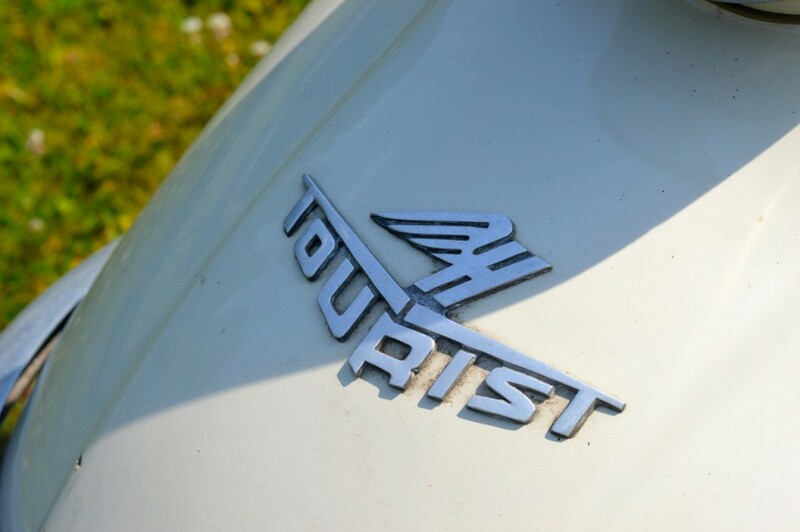 Soon the Tourist acquired the name “Rolls-Royce of scooters” because of its excellent build quality, unrivaled comfort and standard 12V electric starter. Tourists were equipped with a maintenance free and quiet four-stroke engine with an enclosed secondary chain, mounted in a tubular steel frame. Many options were possible such as a luggage rack, spare wheel, clock, etc…, bringing many families long-distance touring joy. This 103 A-2 Tourist is one of the last series, produced from ’60-’65 (55000 were produced). They featured enclosed indicators, a revised speedometer and a longer wheelbase for extra comfort. The 175cc four-stroke engine produced a healthy 9,5HP and could propel the Tourist to 100km/h. Due to the long wheelbase and strong tubular frame, seating for two is comfortable (including luggage, the Tourist is specified to carry almost 200kg!) and cornering is more motorcycle-like. 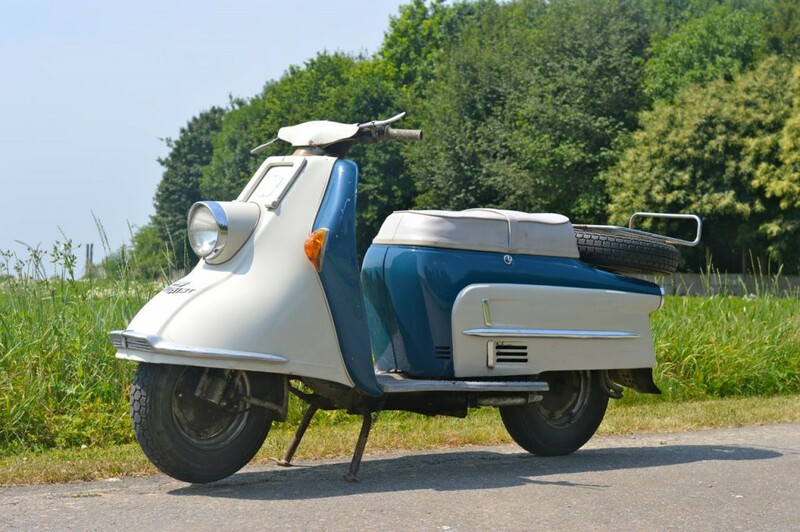 This 1961 Tourist is an original Dutch-delivered scooter, still in original white / blue two-tone paint with a nice touch of patina. She starts on the button and purrs like a kitten. The 4 hand-shifted gears take a little getting used to but after a couple of miles the feeling should be in your fingers. She is very spacious and comfortable to drive, even with two-up there is enough torque for a flexible and smooth drive on the countryside. Currently there is a single 12V battery installed, instead of the original twin series connected 6V batteries. 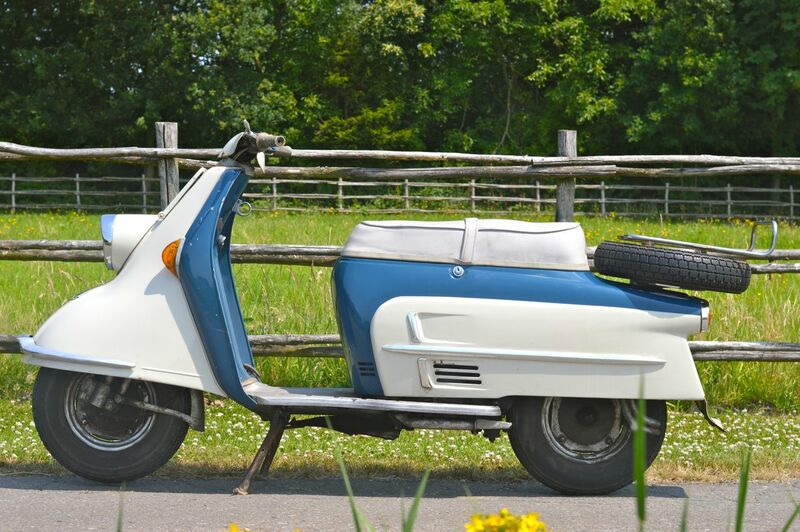 She comes with Dutch documents, an original luggage rack and spare wheel. 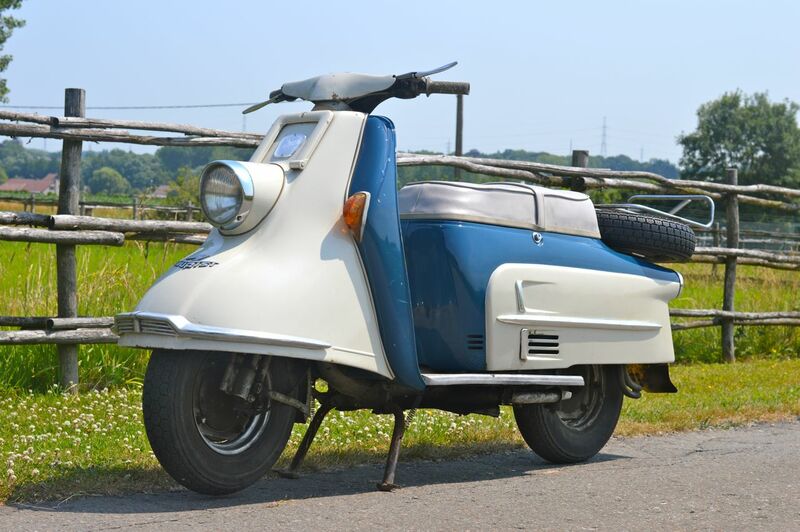 A rare opportunity to acquire the Rolls Royce of scooter in original patinated condition, at a fraction of the price of a four-wheeled Rolls.